Our VISION is to improve career and volunteer emergency services in the state of Idaho through leadership, collaboration, education, safety, information and representation. Our MISSION is to provide and enhance leadership to career and volunteer emergency services in Idaho. Idaho Fire Chief's Association has negotiated a room block with The Coeur d'Alene Resort for a variety of room types in the Resort complex, rates range from $109/night to $169 for Lake View Rooms. Resort Fee is 5% and room tax is 8%. 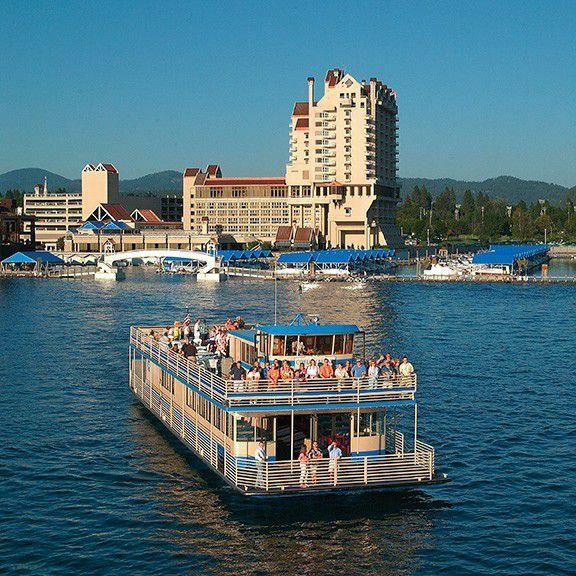 Or Call Coeur d'Alene Resort Reservations: 888-965-6542. Are you or your organization interested in a little higher visibility with IFCA's members? We have a tiered Sponsoring Vendor program with levels of participation to fit both your budget and promotional needs. Buy all your Books here! Many of you are familiar with industry-expert Gordon Graham’s famous saying, “Predictable is preventable.” At the Idaho Fire Chief's Association, we believe that addressing potential problems BEFORE they occur is the key to minimizing risk. That’s why we’ve partnered with Lexipol, the leading provider of fire policies and training. The company was co-founded by Gordon Graham and is focused on providing policies and training to help keep your agency protected and your personnel safe. 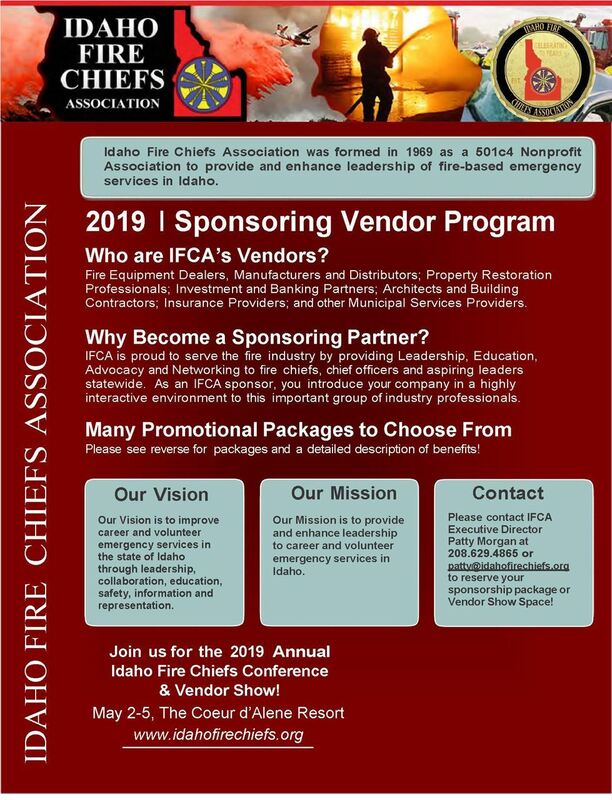 Active membership in the IFCA is available to Fire/EMS Chiefs and Fire/EMS Chief Officers of an organized Idaho fire/EMS agency or department. Divisional memberships are available to persons working or serving in fire/EMS agencies or departments working in those fields of duty. Corporate and Associate memberships are available to those persons or companies who do not meet the above Active membership class. The Idaho Fire Chief's Association (IFCA) announces the 2019 Fire Fighter License Plate (FFLP) grant program. These grants are awarded annually from available funds received through the Idaho Fire Fighter's License Plate (FFLP) Fund program. Grant applications are reviewed by the FFLP Grant Review Committee. The Committee carefully evaluates all applications and establishes the grant amounts. 2019 marks the 19th year of this highly successful program. Nearly $700,000 in grants have been awarded for fire safety education programs across Idaho since the program began. Grant application forms for 2019 must be received online no later than Friday, June 21, 2019. FireRescue GPO is a group purchasing organization providing fire departments access to publicly solicited contracts. 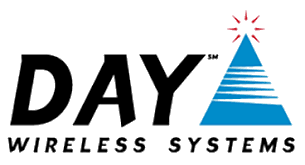 Our contracts are created through a nationwide public RFP process and awarded by a lead public agency. Member departments are able to “piggyback” on the contract, eliminating the need to complete the RFP process themselves. Individual discounts are also available to firefighters. Membership is free and there are no purchasing obligations.